Many dog breeds are natural protectors. 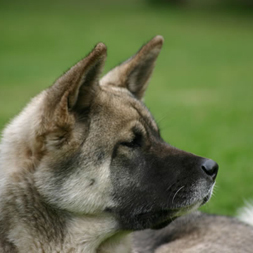 Take the Akita, for example, a breed originally used to guard the royals and nobles of feudal Japan, or the Malinois, a Belgian breed known for its work in the police and military. According to DogsBite.org, 31 dog-bite fatalities occurred in 2016. Non-fatal dog attacks may result in injuries, lawsuits, psychological damage to loved ones and others. These facts alone make it imperative for you to analyze whether your dog is dangerous. View more signs to indicate whether or not you should be worried about aggressive canine behavior as well as how you can take action to prevent any harm to yourself, others and your dog.